This is an in house movt by Bulova, further versions would build on this, adding automatic winding, sweep second and date. 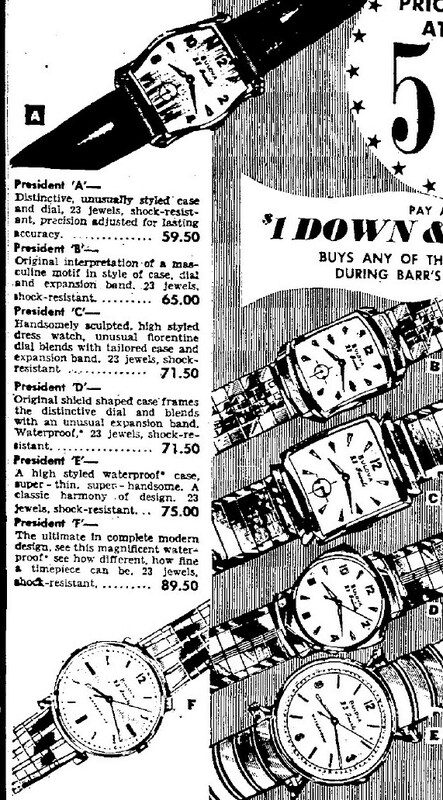 Edit: I don't know where I got the idea this was a 21 jewel movt, I had this at unknown, but it is clearly a 1960 President 'C'. I would agree with President, not sure on the variant yet. Here is an ad.